So. 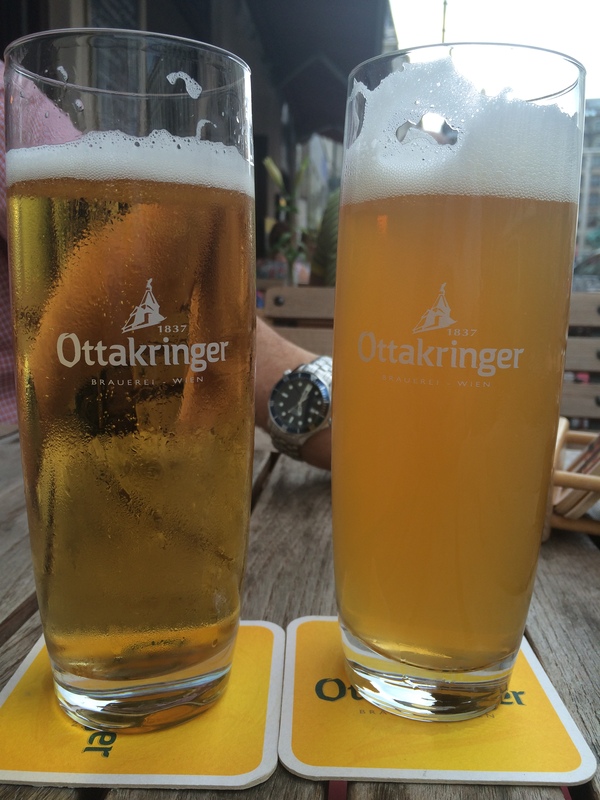 The one thing Austrians don’t believe in is air conditioning. Which isn’t the worst thing in the world but living in Florida has left me living at a specific standard of comfort. It wasn’t terrible. It was warm today, and we do have a fan in our hotel room so sleeping was comfortable. But Lord, the Hofburg Palace was hot today. I nearly perished from the lack of water. 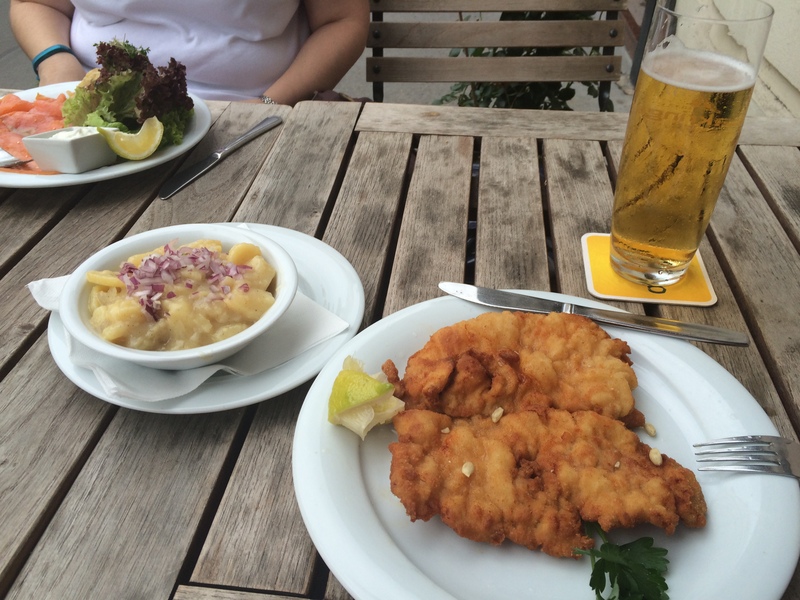 Our day started this morning with breakfast of coffee and apfel strudel on the Stephensplatz. From there the first major site we hit was the cemetery. Might be strange for some of you, but my husband had a very big X to cross off on his “Burial Bucket List”: Johannes Brahms. 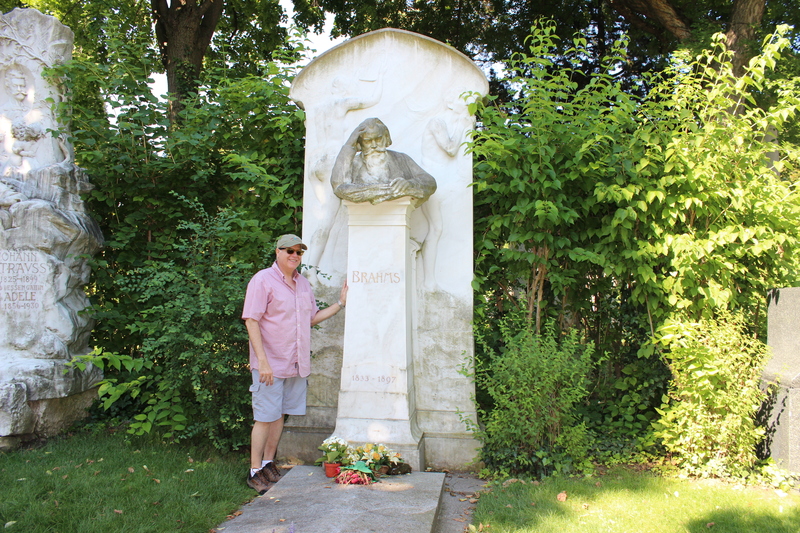 The cemetery was full of decomposing composers: Ludwig von Beethoven, Johann Strauss, Franz Schubert, just to name a few. But my husband’s favorite has always been Brahms. We bought flowers to leave at his grave and it was lovely. 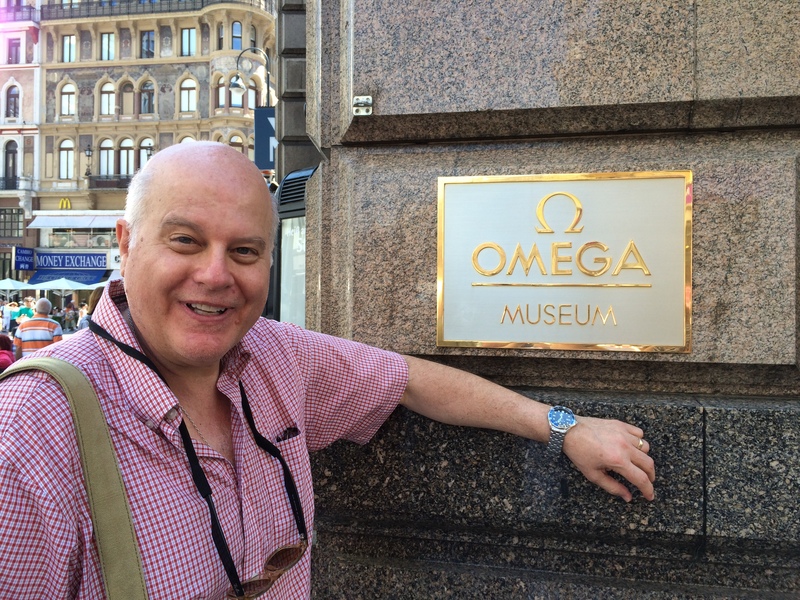 Omega Museum. Excuse the drunk expression. He wasn’t. Really. It wasn’t a big museum, but it did have displays of Omega watches from the past, including the ones that went to the moon with Neil Armstrong, Buzz Aldrin and Michael Collins. Well, and they had air conditioning. It was a neat little place. But since we didn’t have between €3000-25,000 to drop on a watch, we left empty-handed. In the afternoon we went to the Hofburg Palace and saw the Royal Apartments and the Sissi Museum. Sissi, in case you didn’t know, was the Empress of the Austro-Hungarian Empire in the late 1800s. She was reportedly beautiful, sweet, and adored by her people. This was where I nearly passed out from the heat in those close rooms. Had I been wearing a corset necessary to fit into her ball gowns, I most definitely would have done so. Afterwards we wandered. 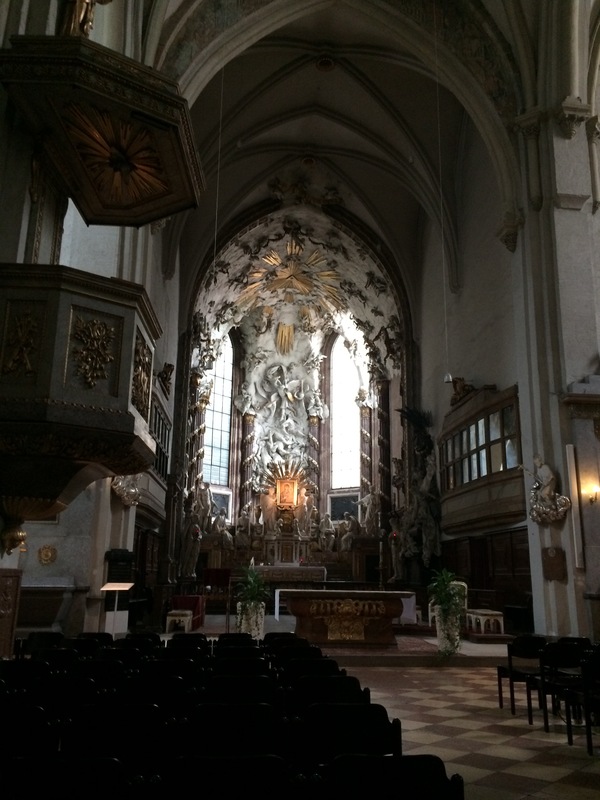 And as we were wandering by the Michaelskirchke we heard organ music coming from within. So we popped inside the blessedly cool interior and had a free music concert as the organist practiced. It was lovely. This was my view. I know, hideous, right? 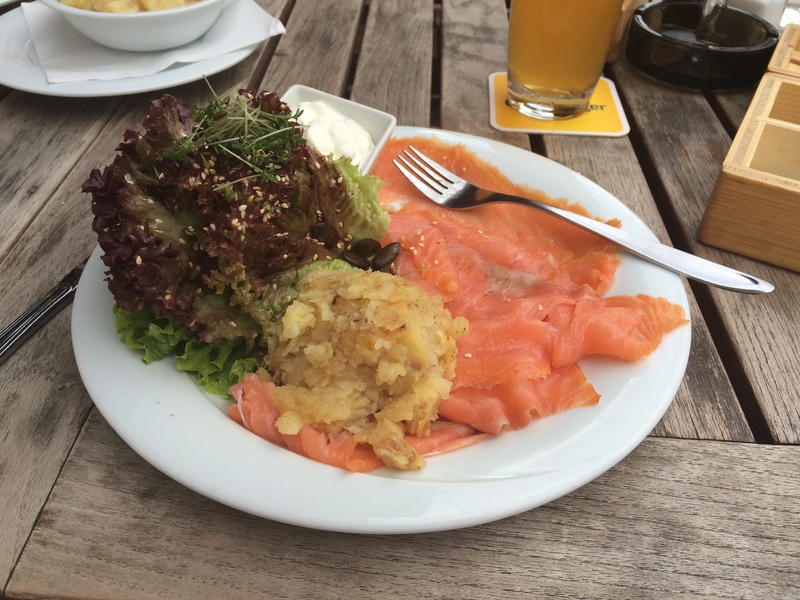 Smoked salmon and scalloped potatoes for me. And beer for us both. I don’t know how he managed it, but he was good. Love your blog. It brings it all back. We were in Vienna in 2004. For some reason I was a bit disappointed. Maybe if I went again I would appreciate it more. We were on a tour staying in the outskirts but had two whole free days there and could catch the tour bus into the centre. I do think where you stay makes a difference. I am not really a fan of air conditioning, but sometimes it is quite useful. 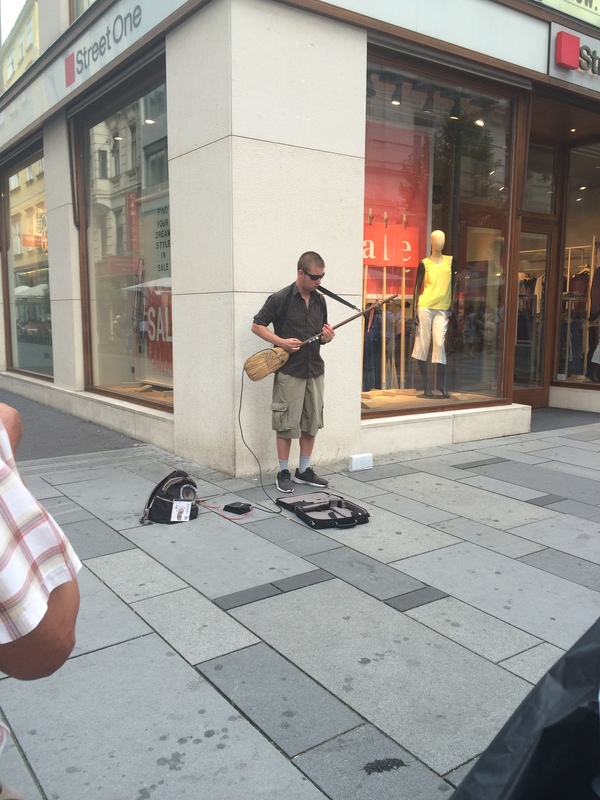 Enjoyed visiting Vienna through your eyes, and the intermix of a bit of humor.